Cadmium (Cd) is a non-redox metal that can indirectly cause oxidative stress by depleting cellular levels of glutathione. It is well-known for the generating reactive oxygen species (ROS) such as hydroxyl radicals, superoxide anions, nitric oxide, and hydrogen peroxide. The latter inactivates antioxidant enzymes and induces lipid peroxidation and DNA damage in cells. 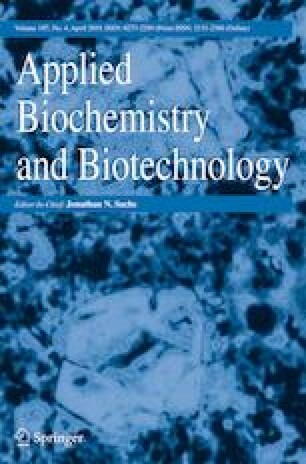 In our study, we have investigated the ameliorative effect of limonene against Cd-induced genotoxicity using various biomarkers such as sister chromatid exchange (SCE), comet, and lipid peroxidation (LPA) assays in cultured human peripheral blood lymphocytes (PBL) from healthy individuals. It is a naturally occurring flavonoid, found in essential oil of citrus fruits. Limonene at 20-μM and 100-μM concentrations had significantly (P < 0.05 and P < 0.01) reduced the SCE frequency, tail moment, and peroxidation of lipids. Ameliorative effect of limonene was also determined by measuring the activity of antioxidant enzymes such as superoxide dismutase (SOD) and catalase (CAT). We found a significant increase (P < 0.05) in the enzyme activity after limonene treatment. We also studied the effect of GSTP1 gene polymorphism on Cd-induced genotoxicity and antigenotoxic potential of limonene. We found a significant decrease (P < 0.05) in SCE frequency, tail moment, and lipid peroxidation after limonene treatment compared to Cd. However, we did not observe any significant relationship (P > 0.05) between GSTP1 polymorphism and Cd, limonene genotoxicity and antigenotoxicity, respectively. This work was designed and guided by Dr. Anita Yadav. The work was performed in Animal Biotechnology Laboratory, Department of Biotechnology, Kurukshetra University, Kurukshetra (Haryana), India. The financial support granted to Ms. Neha Verma by Kurukshetra University in the form of University Research Scholarship is fully acknowledged. Further review of the manuscript was done by Dr. Ranjan Gupta and Dr. Neeraj Aggarwal. We are also thankful to all volunteers for their useful contribution by giving their blood sample in our research. Bai, J., et al. (2016). Protective effect of D-limonene against oxidative stress-induced cell damage in human lens epithelial cells via the p38 pathway. Oxidative Medicine and Cellular Longevity. https://doi.org/10.1155/2016/5962832.